Patio House involves the reconfiguration of an existing Ground floor of a family home in Peckham. 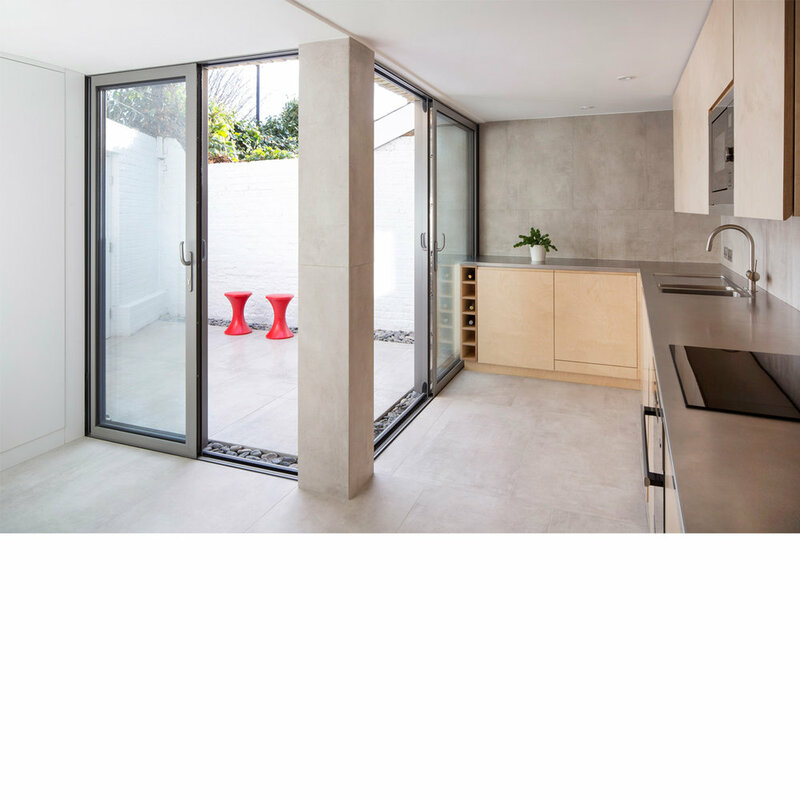 The new pared down kitchen slots in the existing space and embraces a light-filled patio. 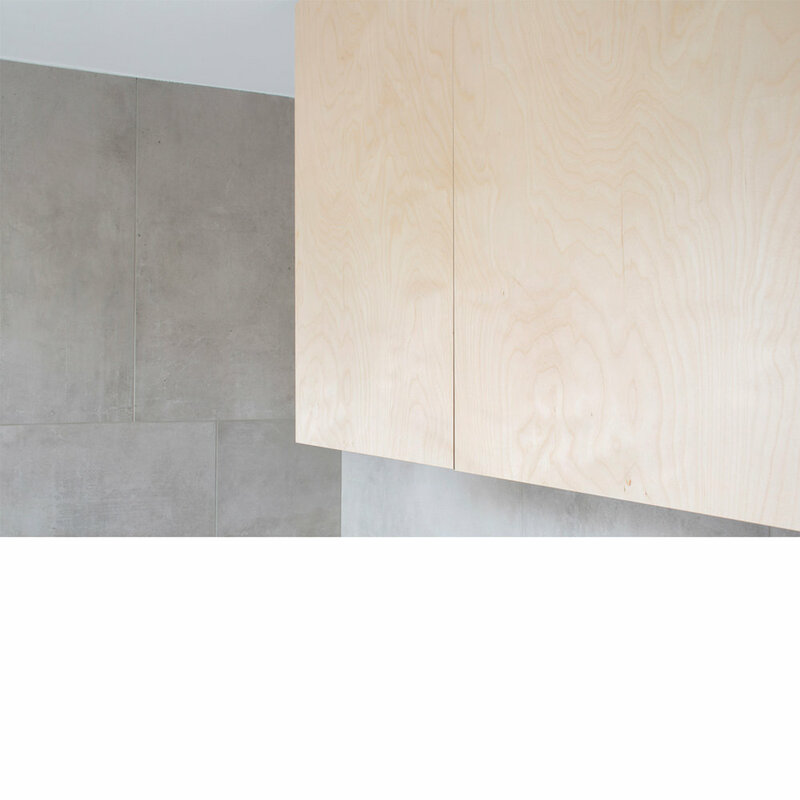 The material palette includes birchply, sanded stainless steel and concrete tiles, creating a calm but defined background for everyday family life.